Maputo — United States prosecutors announced on Tuesday that the Federal Bureau of Investigation (FBI) has over a million pages of transcripts of phone calls and e-mails, bank transfers and other financial documents, which will be introduced as evidence in the case of Mozambique's "hidden debts". This case deals with the loans of over two billion US dollars obtained by three fraudulent Mozambican companies, Proindicus, Ematum (Mozambique Tuna Company) and MAM (Mozambique Asset Management) from the banks Credit Suisse and VTB of Russia in 2013 and 2014, on the basis of illicit loan guarantees signed by the then Finance Minister, Manuel Chang. American prosecutors have charged Chang and seven others with conspiracy to commit money laundering, wire fraud and securities fraud. The US claims jurisdiction because many of the bribes and kickbacks were paid via US banks, and much of the debt was sold on to US institutions. Chang is currently in police custody in Johannesburg, fighting extradition to the US. His "co-conspirators" include three former Credit Suisse executives, Andrew Pearse, Detelina Subeva and Surjan Singh, who were arrested in London and are awaiting extradition to New York. Only one of the accused was in court on Tuesday. He is Jean Boustani, a key figure in the Abu Dhabi-based company Privinvest, who arranged the illicit loans. Privinvest later became the sole contractor for Proindicus, Ematum and MAM, and sold the companies fishing boats and other assets at vastly inflated prices. The US indictment also contains the names of three people that have been blacked out, because they have not yet been detained. The redacted names are those of two Mozambicans and one Privinvest official. There are also three unnamed and unindicted Mozambican "co-conspirators", and two as yet unindicted "co-conspirators" from Privinvest. According to a report from the Portuguese news agency Lusa, on the opening day of the New York trial, the prosecution promised to enter its "more than a million pages" of documents into evidence by the end of next week. The court, under judge William Kuntz, accepted a prosecution proposal to treat the trial as "a complex case", something that Boustani's defence opposed. A "complex case" is one where there are a large number of suspects (in this case eight, of five different nationalities) and a huge amount of evidence. Such cases require careful judicial handling, and can last much longer than a normal trial. Much of Tuesday's proceedings concerned Boustani's attempt to secure bail. He has offered to pay bail of 20 million dollars, if he is released from detention into a form of high security house arrest, under close surveillance. The prosecution opposes any form of house arrest, on the grounds that Boustani remains a flight risk. Prosecuting attorneys said Boustani enjoys the support of the multi-millionaire owner of Privinvest (clearly referring to the Lebanese businessman, Iskandar Safa). The prosecution feared that a false identity document would be arranged for Boustani, allowing him to slip out of the country. No decision was taken and so Boustani will remain in detention until the next hearing, scheduled for 7 February - two days after the South African court should have decided whether to extradite Chang. Boustani's defence lawyers also wrote a letter to the judge, claiming that Mozambique's default as from 2016 was nothing to do with the "improper payments" made by Boustani, but because of "macro-economic conditions that affected the entire region". This was a response to a prosecution claim that Boustani's actions "helped devastate the economy of one of the poorest countries in the world". 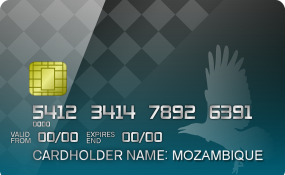 The defence argument is threadbare: the Proindicus, Ematum and MAM loans added 20 per cent to Mozambique's foreign debt, and made all the country's debt ratios unsustainable. Since the illegal debts also violated the memorandum of understanding the Mozambican government had with the donors who used to give direct support to the state budget, those donors abruptly ended budget support. The end to budget support was a direct result of the activities of Boustani, Chang and their fellow conspirators, and is costing Mozambique at least 400 million dollars in lost aid every year.